Tim Krysiuk was an avid fan of stock car racing ever since his youth. Famous drivers like Davey Allison, Alan Kulwicki, and Dale Earnhardt always had Tim and millions of other fans on their feet as they displayed their speed and prowess on the track. On a return trip from a long day at the famed Pocono Raceway, Tim happened to stop at the Blue Mountain Speedway, a place he had only ever driven by for years (despite the fact that he lived one minute away from the track). This was his introduction to dirt track racing and he has been hooked ever since. Everything about the track, from the enthusiasm and talent of the drivers to the competitive but family-like environment in which they raced, created an atmosphere that Tim couldn't help but fall in love with. Always an avid but casual photographer, it wasn't long before Tim was bringing his camera with him to the track. 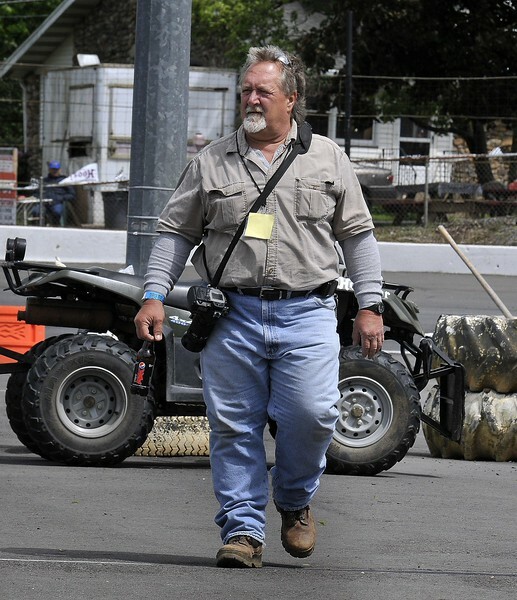 It didn't take long for Tim to earn a reputation around the track as one of the best, earning several prestigious titles such as 2012 Bill Hess Photographer of the Year and the 2014 Snydersville Raceway Track Photographer of the Year. Tim is the official track photographer at Hamlin Speedway and Snydersville Raceway, plus one of the photographers at Action Track USA, as well as numerous other race tracks. Since 2012, Tim has been an official Area Auto Racing News photographer. He has had photos featured in many local and national publications over the years, including a featured article about Action Track USA in Speedway Illustrated May 2015 issue. His love of racing has transformed him from a casual observer, to a hardworking professional dedicated to capturing that one special shot.